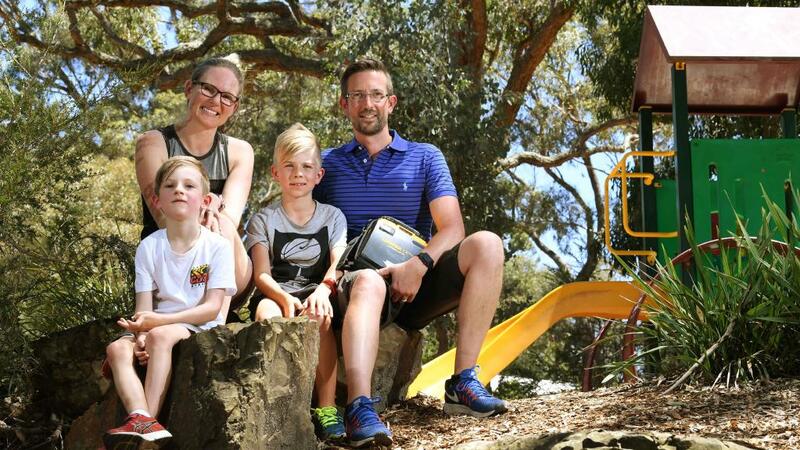 First Aid Accident & Emergency partner with parkrun for a defibrillator at every parkrun in Australia. Scott Whimpey, Director of First Aid Accident & Emergency (FAAE), is an avid parkrunner and first aid specialist. He understands the importance of safety for runners, this comes down to training and equipment that can be accessed in an emergency. Thanks to an innovative partnership between FAAE, Guy Leech and parkrun Australia, your parkrun should have a CR Plus Defibrillator and access to a video that explains how to use the defibrillator and administer CPR to a patient that has collapsed, is unconscious and not breathing. FAAE would like to say a big thank you to Tim Oberg and Renee Gimbert for getting this initiative up and running and look forward to keeping you up to date with your new defibrillator procedures in the future. DID YOU KNOW? A defibrillator, if administered within the first minute of collapse, raises a victim’s chance of survival to 90%. After 10 minutes without defibrillation, that rate drops to 5%. It’s pretty scary stuff. 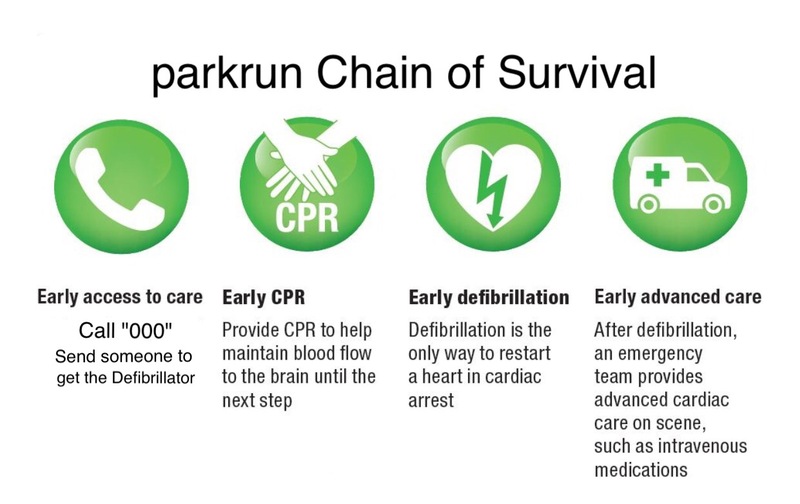 This information is for parkrunners and will explain the best options in this situation, why CPR and Defibrillators or AED (Automated External Defibrillator) are so important in heart attack and resuscitation situations. This instructional video shows you how to perform CPR in conjunction with the use of your CR Plus Defibrillator. This is an instructional video and it is recommended for more in depth information and training, all parkrun directors complete an accredited CPR or First Aid program. All the principals of managing a patient, conducting CPR, applying a defibrillator and looking after airways are shown and this should be observed and administered until an ambulance arrives at your parkrun. As a parkrunner its it is important to keep your First Aid skills and knowledge up-to-date. 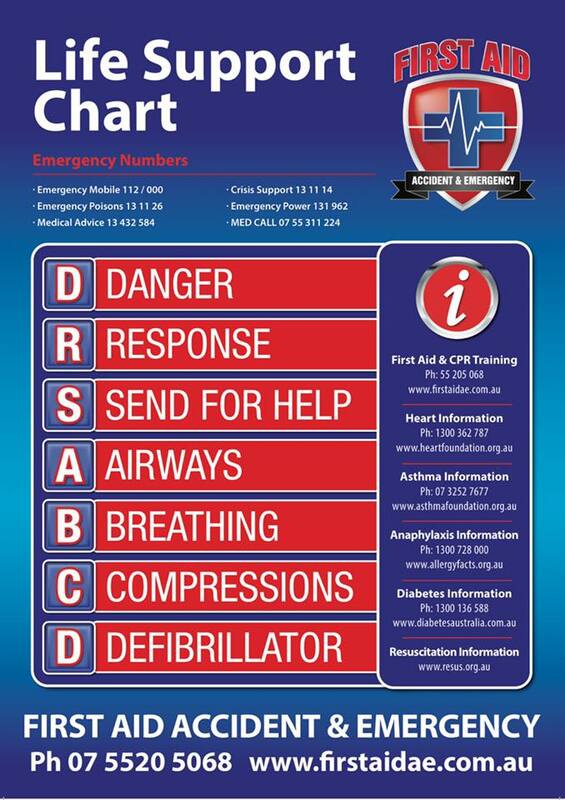 First Aid Accident & Emergency run daily courses on the Gold Coast, throughout Brisbane and in Northern NSW, in the meantime a great way to keep things simple is to use the DRSABCD as a guide, see more information on this Basic Life support chart below. 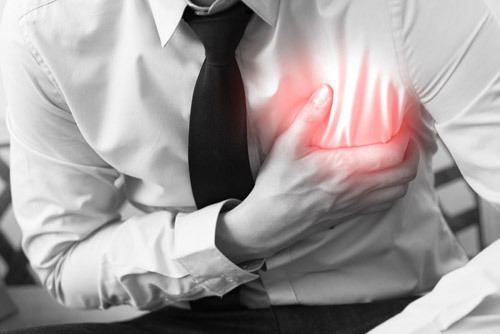 When someone has a Heart Attack the heart becomes starved of blood, usually from a blockage in or around the heart muscle. If this is left for an extended amount of time the heart stops working normally, the normal heart rhythm stops functioning effectively and goes in to a faulty rhythm called Ventricular Fibrillation (VF) or Ventricular Tachycardia (VT), the heart starts to quiver and dies at a rate of 10% for every minute that goes bye. Eventually the heart stop’s working all together and flat lines. There is generally very limited or no survival for a patient after this point. Once the patient proceeds into VT or VF, breathing becomes shallow and then the patient stops breathing, the person is in arrest or clinically dead at this point. Effective CPR conducted on the patient at this time keeps the brain and organs oxygenated and reduces cell death in the vital organs, this can maintain the heart in a holding pattern. Introducing a Defibrillator into the resuscitation for a First Aider at this point is the only way to bring the heart out of VT or VF and back into a normal beating rhythm in the first 10 minutes. Are Defibrillators safe to use by a parkrunner? Defibrillator AED use should not be restricted to trained personnel. Allowing the use of AEDs by individuals without prior formal training can be beneficial and may be life saving. Since even brief training improves performance (e.g. speed of use, correct pad placement). The use of AEDs by trained, lay and professional responders is recommended to increase survival rates in those who have cardiac arrest. What are the Legalities for me as a parkrunner? As a parkrun director you have a legal obligation to offer reasonable care and treatment to a runner in your care ( Duty of care), this means you are legally protected to do so if you are reasonable with the care and treatment provided. As a fellow parkrunner you may offer reasonable care and treatment to a fellow parkrunner but you don’t have to. This is a moral issue on your behalf and if your care and treatment is reasonable, you are also legally protected. As of right now in Australia, no one has ever been sued for offering First Aid care and treatment to a patient! Put simply, the chain of survival is just a series of steps (forming a virtual “chain”) which give the best chance of survival from a cardiac arrest or heart attack. If all the steps of the chain are followed promptly, then the patient has the best chance of surviving. Duty of care: If you are looking after people in an event and have basic First Aid training, you have a legal responsibility to offer reasonable care and treatment to those people. Negligence: Only stick to your level of training, don’t conduct any medical procedures that you have no idea about. Consent: If the patient is awake, you must gain consent from them before treatment, if they are unconscious you may proceed with care. Recording: You must record the First Aid incident and any care or treatment administered, this must also be forwarded on to parkrun management. First Aid Basics for parkrunners. Send For Help, call “000” give them the facts, tell them what’s happening, where you are and what you have done. 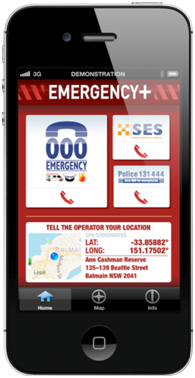 Use this app on a smart phone to get your location. Send someone to get the parkrun Defibrillator from the parkrun director. Check the patient for Response and Breathing, do not check a pulse. You need to check for breathing by looking, Listening and Feeling, if the person is not breathing, you need to start CPR now. Check Airway, you need to start by pulling the head back and checking the patients airway, if there is something in there, roll them over, clear it and roll them back. Start CPR, give good quality compression’s on the chest, the idea is to manually pump the heart, this will prevent the brain from dying. Breaths are not needed here in the first 5-8 min as there is enough oxygen in the blood already, just get the blood going around the body to prevent organ failure. If you know the person well enough to put your mouth on theirs, then give 2 breaths and 30 compression’s, repeat this continually. Compression’s should not be interrupted for more than 10 seconds as blood pressure will drop and take approx. 60 sec to build back up. Apply the Defibrillator, the only way to ‘kick the heart over’ is to defibrillate it! Don’t stop compression’s to set the defibrillator up on the patient, work around the compression’s as to not loose blood pressure. The heart will only last 10 min before dying completely so don’t muck around getting the defibrillator on the patient. Follow the prompts from the defibrillator and keep compression’s going, watch out for signs of life- Breathing or movement on command. If the patient starts breathing on their own, stop CPR and place the patient on their side until the ambulance arrives. parkrunners please keep in mind that this information is not designed to replace a CPR course, to learn more about CPR courses and First Aid Courses, look here or book with your local provider. So what does DRSABCD stand for? This is the basic action plan that is discussed in every First Aid course, primarily because of it’s ease to remember and recall in an emergency situation. By following a few simple steps if there is an emergency at your parkrun, and sticking to a proven First Aid action plan can be the difference between a fellow parkrunner recovering from an accident or not. If you would like any more information on the First Aid courses we have to offer at First Aid Accident and Emergency including covering the DRSABCD action plan, please contact our Gold Coast head office today on 07 5520568.